As Canadians we have our own decidedly Canadian iconic references and traditions. Like saying "eh", being overly polite and Saturday hockey night in Canada. But given our close proximity to the USA, many traditions, good and not-so-good, find their way across the border. Canadians celebrate our Thanksgiving in October. That hasn't changed. But we are inundated with commercials for upcoming sales on American networks. Commercials that use the American Thanksgiving as a segue to the Christmas season. 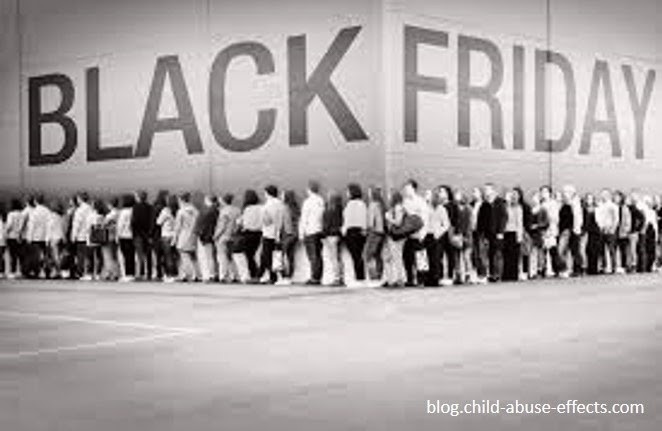 Then there's so-called "Black Friday". A wholly American retail term that refers to the day when retailers move from the red to the black on a spreadsheet. Meaning, when retailers actually start making money. The commercialization of the American Thanksgiving from a time spent with family and giving gratitude, to retailers making money is disturbing. 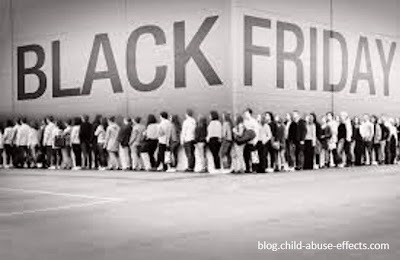 But what's even more disturbing to this Canadian is that we have now embraced the money-driven "Black Friday". "Black Frid-eh" has now been assimilated into our lexicon. Along with our American friends, it is the official kick-off to the holiday season. Trouble is, the holiday season no longer represents time spent with family, giving and receiving of and to each other. It's all about being a consumer. All about attaining more things while lining the pockets of a very few. And it's not as though we get such great deals during Black Friday. It may seem that way. But the reality is that the sales are often on lesser quality items. Items that are on the shelves as cheap as they are because of the exploitation of those living in poverty in a third world country. A country that keeps their workers in dire poverty. Sometimes even in workplace slavery. I refuse to be a part of this. I refuse to reward the already greedy with even more profit margins. I refuse to contribute to the consumerization model. This year, I want to return to what Christmas is really all about. No more black marks on my values. This year I want Christmas to mean something from my heart, not my pocketbook. I decree that this year any gifts I give will either be made by my own hands using what we already have in our house. Or will be services I offer with handmade coupons. Now to convince hubby to abide by this agreement. What can YOU do this year to bring the true meaning of Christmas back to the holiday season? I will make something with my own hands, hopefully it will be better than the hockey pucks I made for breakfast this morning. A.k.a pancakes.